This week in golf it’s the prestigious PGA Championship. The big news going into this years event is that Rory McIlroy is fit, and ready to defend his crown. He’s won it twice already – last year and 2012 – and came in a respectable 8th place in 2013. This is always a fantastic golf tournament and one that relies on skill more than anything else – although current form is always big. What’s an interesting statistic is that of the last 16 winners – 14 of them have won a tournament earlier in the season. That’s a very interesting stat and one we will be looking at closely. Of course it’s not foolproof; but it’s an interesting stat that gives us an idea of who the contenders will be. It’s also taking place at the Whistling Straits course in Wisconsion. It’s been held here before – in 2010 when Martin Kaymer won it, and in 2004 when Vijay Singh won it. So both of those tournaments can give us a fair bit of data. 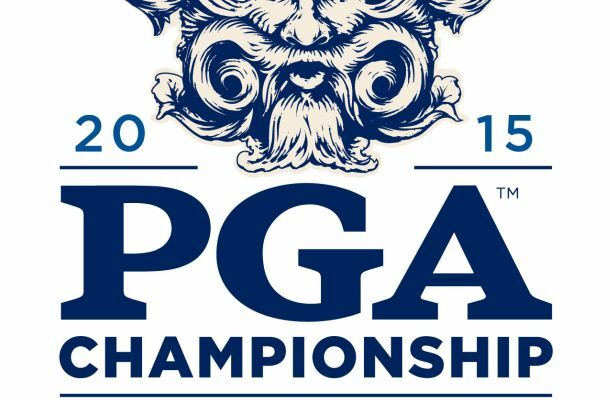 First we want to suggest you bet at https://www.GTBets.com when it comes to the PGA Championship. Not only do E/W bets offer the best odds and get you the top 6 payout, but they offer the most props such as Top Asian, Top Canadian, Handicap betting and so much more. Great book to do that. We understand that Rory may not be 100%. Hell on top of all that even if he is there is going to be a lot of rust. 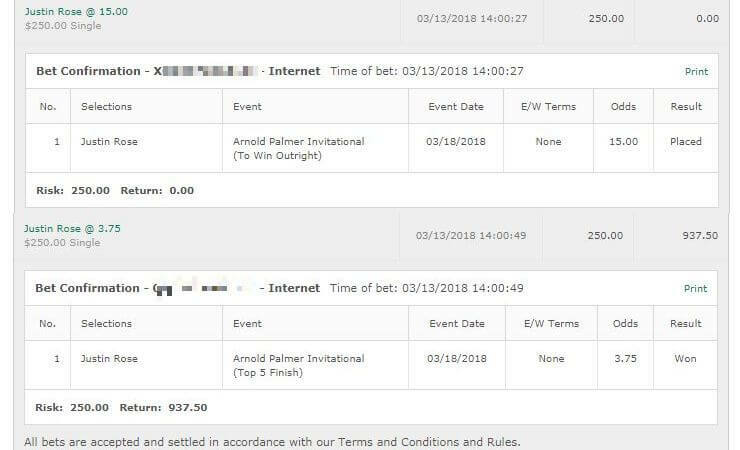 But you’re telling me that we’re going to get 12/1 odds on arguably the #1 golfer in the world? It’s one of those things I’m not going to talk myself out of. Now due to the slight risk I WILL bet half a unit as opposed to a full unit. But at those odds unless he is playing while walking around on crutches – yeah, I’m taking Rory. And of course he fills the “must have won a tournament this season” checkbox too! Bet: Rory McIlroy to win. Half a unit at Bovada for Americans. It was a 3rd place finish that could have been so much more. He’s going into this one at a heavy 50/1 which is a nice price, considering his form this season. And of course he has a win this season as he was the winner of the RBC Heritage, filling up that rule. On top of that he has solid form in this tournament. His last two years has seen a 2nd and a 5th place. We’ll be taking a full unit on Furyk E/W, hoping that the last day of last weeks tournament hasn’t affected him too much. 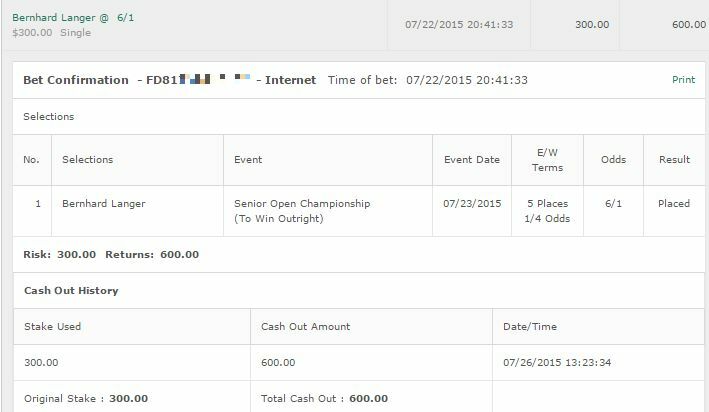 Bet: Jim Furyk to win and E/W – a full unit – with 50/1 odds at https://www.GTBets.com. Lingmerth already has won this season on the tour. he won at the Memorial Tournament back in June in Ohio. He’s been in fine form for the majority of his tournaments lately with two top 10 finishes just recently. At 100/1 we will go as high as a half unit on him because really – everything is pointing to a solid performance for Lingmerth. 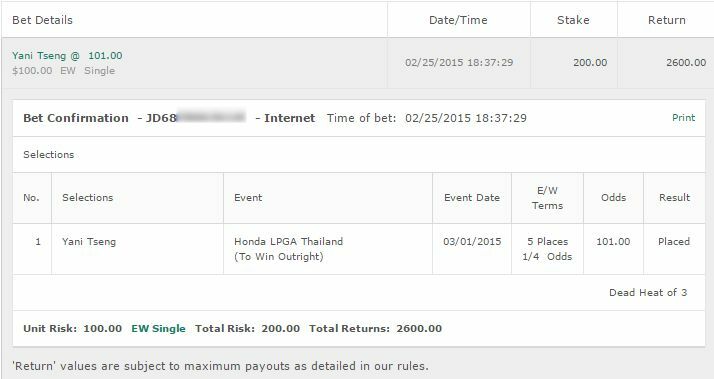 Bet: Half a unit on Lingmerth to win and E/W at Bovada for Americans. We’ll finish it up with two bets on Bubba Watson and Justin Rose. Both will be quarter unit bets to win and E/W. Although we may get spicy and bet half units. Both have wins this season, both are top quality. Bubba has had an exceptional season, and he’s coming into this looking really good. Rose is similar. Bet: Quarter or half units on Watson and Rose to win and E/W at https://www.GTBets.com.